Becoming better at ESL writing is very important if you want to be able to communicate in English. As the Internet has become more and more important, more and more communication is via written emails. In addition, you might need to write reports or other documents in English. This site is always being updated and the newest ESL writing topics for you to try are listed below. Like the Excellent ESL 4U Facebook page for updates about all the newest pages being published. The best way is to just practice. All methods to learn English writing are based on doing and practicing. You need some basic background knowledge first, such as basic grammar and vocabulary, but once you know this, just practice. Make some mistakes and learn from them so you get better. This site has a vocabulary section to help you learn useful words to use when writing. The vocabulary lists are all based around important topics. There are also flashcards for you to download and print to help you, in the vocabulary section. You should also work hard to improve your reading ability while trying to write. By reading you will be able to see the way that a native speaker would write. This will show you how you should be writing your sentences, paragraphs and whole documents. You need to practice to get better, but how to do that? This section of the Excellent ESL 4U site has various exercises and activities for you so that you can practice. All the practice questions are related to important topic areas. For each topic area there is also other information on the site, such as listening exercises, vocabulary and example conversations. There are lists of topics that you could write about. There is a longer passage that you will have to read and then write a summary of. There are graphs and data that you will need to describe. You can write a conversation for a specific situation. Once you have finished each of the writing exercises you should then try to find someone to help you evaluate it. This could be a friend that you know from home or someone in a forum on the Internet. Whichever you chose, get them to try to find as many mistakes as possible. You learn from making mistakes and then correcting them. Below are links to all the writing topics on the site organised into topic areas. ESL Banking Writing - Exercises to improve your writing while using banking vocabulary. ESL Doctors Writing - Writing exercises in which you will need to use the doctors vocabulary. ESL Meeting Someone New Writing - Activities to do people meeting for the first time. ESL Halloween Writing - Tasks and exercises for you to do to practice Halloween vocabulary while writing. ESL Pets Writing - Exercises about pets to help you learn and use the pets vocabulary. ESL Weather Writing - Writing tasks to help you learn weather vocabulary. ESL Shopping Writing - Tasks and activities to help you learn shopping vocabulary. ESL Travel Writing - Activities and exercises about travel so you can learn the vocabulary. ESL Clothes Writing - Exercises for you to practice writing about clothes while using the clothes vocabulary. ESL Sport Writing - Tasks for you to do so you will get better at using the sport vocabulary. 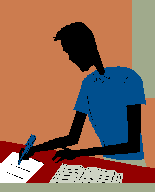 ESL Legal Writing - Writing activities and exercises for you to do so you understand legal vocabulary better. ESL Driving Writing - Exercises for you to do so that you will get better at using driving vocabulary. 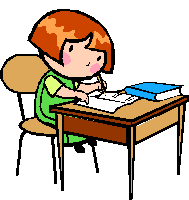 ESL Work Writing - Activities for you to do in which you will have to use the work vocabulary, which will help you learn it well. ESL Eating Out Writing - Tasks about eating out so you can get better at using eating out vocabulary. ESL Houses Writing - Writing exercises to help you learn and use the houses vocabulary. ESL Taking a Trip Writing - Activities that use taking a trip vocabulary to help you get better at writing. ESL Family Members Writing - Exercises for you to do so you can learn to use the family members vocabulary when writing. ESL Party Writing - Page with tasks about writing about parties to help you learn the party vocabulary. ESL Christmas Writing - Tasks that are all about using the Christmas vocabulary when writing. ESL University Writing - Activities for you to do to practice using the university vocabulary when writing. ESL at the Beach Writing - You can use the at the beach writing tasks on this page to get better at using the at the beach vocabulary. ESL Supermarket Writing - Exercises all about writing while using the supermarket vocabulary. ESL Birthday Writing - There is material on this page that you can use to practice using the birthday vocabulary when doing writing tasks. 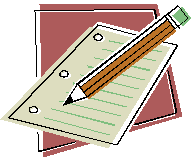 ESL Hotel Writing - This page has several tasks about writing and using hotel words. ESL Cities Writing - There are several writing tasks and exercises on this page for you to do to get better at using cities vocabulary. ESL Describing People Writing - This page has several writing tasks that will let you practice using the describing people vocabulary. ESL Cooking Writing - Writing tasks and exercises so you will get better at using the cooking vocabulary. ESL School Writing - There are a range of writing activities on this page that will let you practice using the school vocabulary. ESL Baby Writing - Writing activities and tasks all about using baby vocabulary. ESL Politics Writing - This page has a number of activities where you can practice using politic vocabulary while writing. ESL New Year Writing - Exercises all about using New Year vocabulary when you are writing so you can remember the words better.